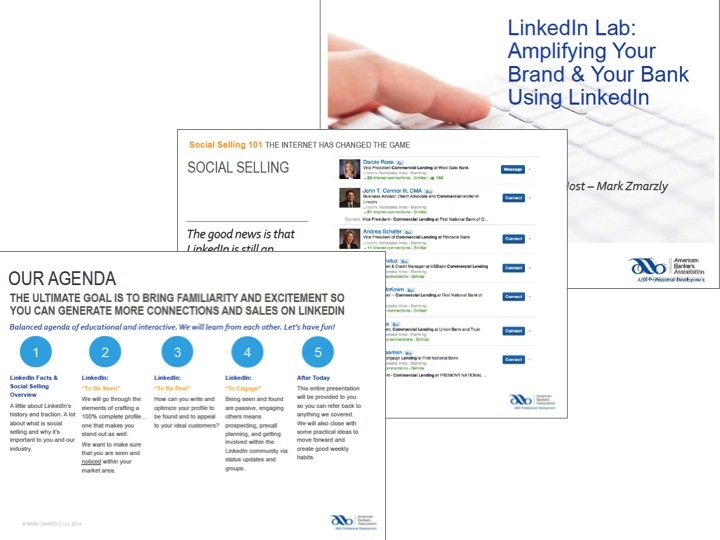 I have been teaching bankers about how to use LinkedIn since 2010 and have helped more than 3,000 bankers better understand the platform, social selling in general, how to create compelling and engaging profiles, and how to successfully prospect on LinkedIn. Past LinkedIn speaking engagements started back in 2011 at BAI Retail Delivery and have since included the ABA Bank Marketing & Retail Conference, ABA Marketing School, New York Bankers Association, Nebraska Bankers Association, Illinois Bankers Association, and Wisconsin Bankers Association. I have also provided onsite training for individual banks, including NB&T, Union Bank & Trust, Arbor Bank, and Monarch Bank, as well as their business customers, local realtors, executive teams, and mortgage officers. I have also done special sessions for the executive team. I also launched an online LinkedIn Training platform with the great commercial bank trainers at Clarity Advantage (screenshot below). Each year I take on a limited number of clients for in-person and/or virtual training. I also offer keynotes on this topic and hands-on workshops for sales rallies and group trainings. 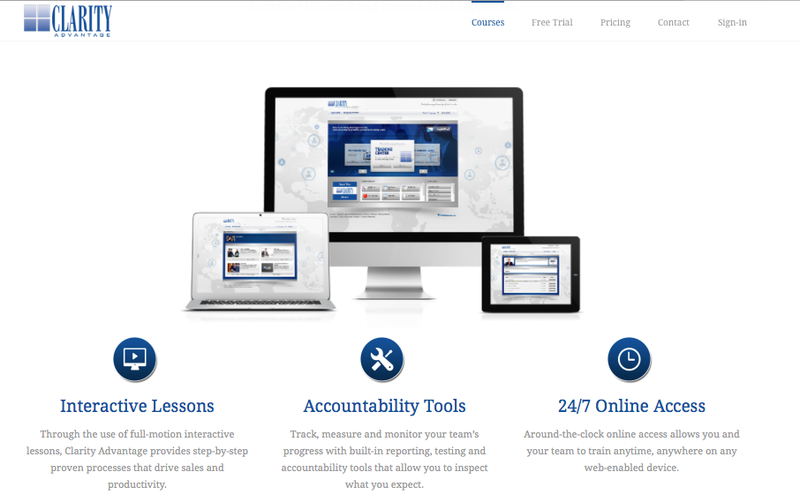 Email me at markzmarzly@gmail.com to inquire about training for your organization!